MacDonald said he and Harvest Bible Chapel will “continue to plant Harvest Bible Chapels and Vertical Churches retaining ownership of those marks and brands which we gladly share without reservation or new condition with all of you.” He added that those church planting efforts will continue under the oversight of HBC’s elder board. 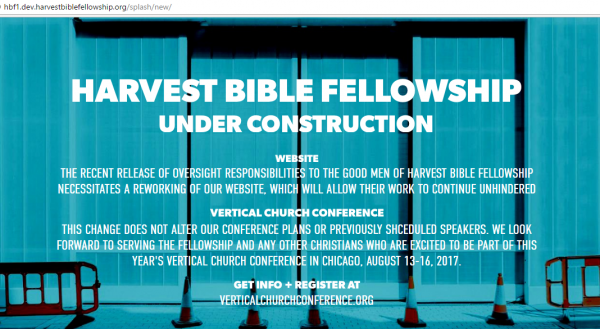 Although the email indicates that the Vertical Church Conferences may be “suspended,” the current splash page for Harvest Bible Fellowship says the August conference is on. On June 10 of this year, Harvest Bible Fellowship’s website actively promoted James MacDonald’s church network and Vertical Church Conferences. HBF is (or was) the church planting arm of Harvest Bible Chapel, a megachurch in the Chicago area. 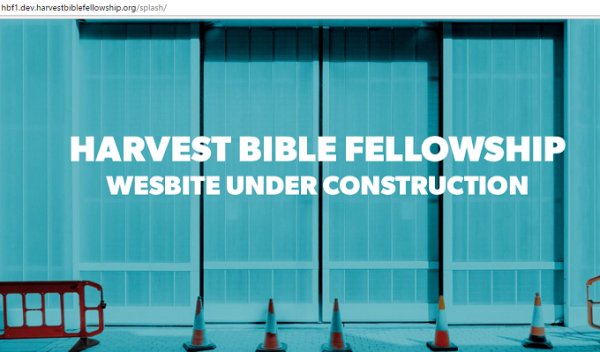 Now amid rumors of a shake up at HBF (and the flagship Vertical Church Conference), the HBF website went from active to being “under construction” to being parked at Go Daddy. 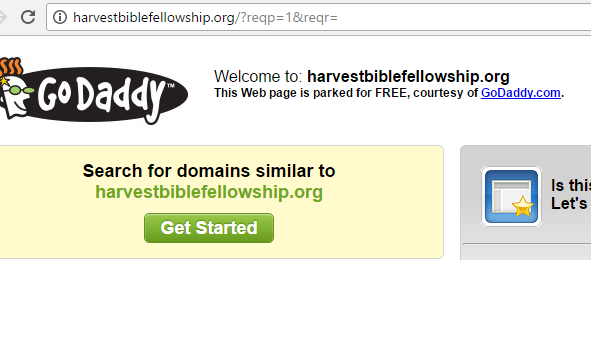 Now the domain is being parked at GoDaddy.com.